Has it sense to continue asserting that the Italian companies are not too much innovative, that they don’t invest much, are not too aggressive on the international markets? Looking at the last data from the Trade Performance Index of the Unctad-Wto we would definitely say NO. Italy in fact is second only after Germany per numbers of best positioning in the 14 competitive classification 2012 related to as much as global commerce sectors, and in Europe, Italy and Germany let literally at the top of the classification. 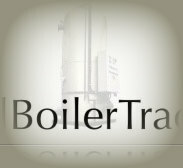 For ITALBOILERTRADE, the MADE IN ITALY is a central topic for the company identity and we can assert that our capacity on innovation, on creation of new ideas and products and on assuring quality and excellence is the departure point for the revival of the “BEL PAESE”. We, ITALBOILERTRADE , are convinced of all this, and that’s why each our single product is carried out in Italy accompanied by the quality and origin certificates. - The confirmation of the value of the true qualitative Italian product. - Attributes prestige to the product and gives security to the customer. - Makes recognizable the true Made in Italy vis-à-vis the labels of products partially made in Italy or completely made abroad. Certifying that a production is entirely carried out in Italy adopting the mark 100% Made in Italy allows us to be recognized worldwide for the superior quality guaranteed of products treated with care in every small detail. A mark that synthesises representative values of the production quality, the creativity and of the Italian style. The 100% certification Made in Italy is released only after an appraisal process and verification handled by the Institute of Tutelage of Italian Producers. At the end of the above listed procedures the company is registered in National Register of the Italian Producers.